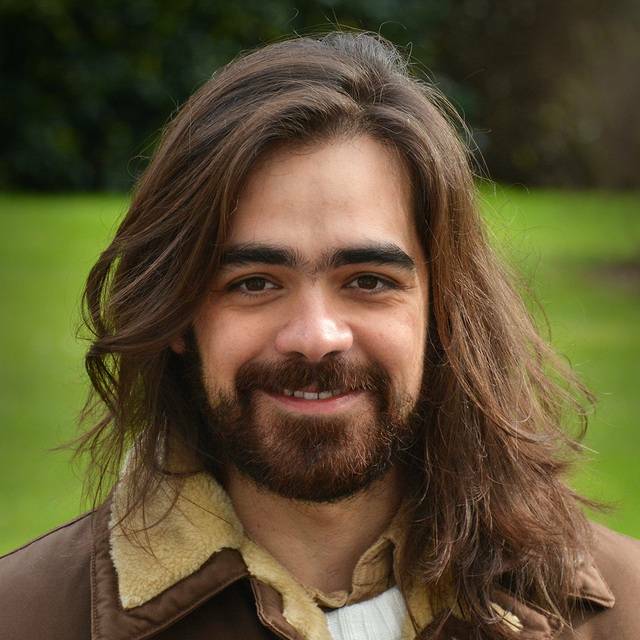 Felipe da Silva Machado is a fully funded PhD student within the Human Geography Department at University of Plymouth (2015-2019), researching the global countryside and farming resilience in Brazil. His study explores farmers’ strategies and networks and highlights the importance of sharing, building knowledges, and learning practices in the rural hinterland of Rio de Janeiro (and beyond) in a global era. During his Undergraduate and Masters in Geography at Federal University of Rio de Janeiro, he specialized in Rural and Agricultural Geography, investigating the themes of urban and peri-urban agriculture in the Brazilian context and socio-spatial restructuring of metropolitan regions at the rural-urban interface. Global processes produce differences in farming systems and multifunctional agriculture in Brazil. Variation also occurs within regions, exemplified by rural-urban complexity observed across the rural hinterland of Rio de Janeiro (Bicalho, 1992; Bicalho and Machado, 2013; Hoefle, 2014). As the metropolitan area expanded outward land prices increased, productive strategies changed, family members and workers left to work in non-agricultural sectors and farmland was lost to urban sprawl and nature reserves. The challenges for rural areas in the early twenty-first century (Woods, 2011, 2012), such as resilience of farmers’ communities to macro-scalar lock-in effects, have received more attention last years (Wilson, 2008, 2010; Darnhofer, 2010; Darnhofer et al., 2016; Ingram, 2018). This study aims to investigate farming resilience in industrialized Southeast Brazil by focusing on farmers’ communities in the rural hinterland of Rio de Janeiro. It is based on primary research undertaken by this author with farmers over the last years. During this period many of the places were researched several times to detect change. The research was often undertaken in cooperation with local and regional governments and federal farm research institutions whereby over the years methods shifted from those typical of top-down development research to bottom-up strategies. The need for a holistic and differentiated approach, using the place-based foundation is timely. An analysis of the nature of the place, founded on bottom-up information flows and qualitative investigations, focuses on improvements in policies. The research reveals that a group of farmers has been able to elaborate flexible strategies adapted to their availability of financial and human resources. Different types of knowledge, organizations, innovations and cross-scale linkages are part of this process in which farmers are proactive in the face of rural change. This is often made possible by the difference between rural-urban interactions present in Brazilian metropolitan regions and their hinterland in contrast to those encountered in essentially agricultural regions, distant from and less affected by large urban centres. The research highlights patterns of farming resilience in an urbanizing and global society, whereby farmers have adapted to uneven processes of rural change that have arisen in Rio's hinterland over the years. Bicalho, A.M. (1992): Agricultura e meio ambiente no município do Rio de Janeiro. In Abreu, M.A. (ed. ): Sociedade e Natureza no Rio de Janeiro. Rio de Janeiro: Prefeitura da Cidade do Rio de Janeiro, p. 285-316. Bicalho, A.M. and Machado, F.S. (2013): Do agrário ao periurbano: o município de Cachoeiras de Macacu na Região Metropolitana do Rio de Janeiro. Geografia (Rio Claro), 38: 545-564. Darnhofer, I. (2010): Strategies of family farms to strengthen their resilience. Environmental Policy and Governance, 20: 212-222. Darnhofer, I., Lamine, C., Strauss, A. and Navarrete, M. (2016): The resilience of family farms: towards a relational approach. Journal of Rural Studies 44: 111-122. Hoefle, S. W. (2014): Fishing livelihoods, seashore tourism and industrial development in Coastal Rio de Janeiro: conflict, multifunctionality, and juxtaposition. Geographical Research 52: 198-211. Ingram, J. (2018): Agricultural transition: niche and regime knowledge systems’ boundary dynamics. Environmental Innovation and Societal Transitions 26: 117-135. Wilson, G.A. (2008): From ‘weak’ to ‘strong’ multifunctionality: conceptualising farm-level multifunctional transitional pathways. Journal of Rural Studies, 24: 367-383. Wilson, G.A. (2010): Multifunctional ‘quality’ and rural community resilience. Transactions of the Institute of British Geographers, 35 (3): 364–381. Woods, M. (2011): Rural. Abingdon: Routledge. Woods, M. (2012): New directions in rural studies? Journal of Rural Studies 28: 1-4. Fully funded PhD student of the Brazilian Federal Agency for Coordination of Improvement of Higher Education Personnel (CAPES), Ministry of Education of Brazil. Machado, F.S. 2018. A interface rural-urbana e o trabalho de campo no currículo de Geografia do Ensino Médio. Revista Perspectivas em Educação Básica, 2, 95-103. Machado, F.S. 2017. Rural change in the context of globalization: examining theoretical issues. Hungarian Geographical Bulletin, 66, 43-53. Machado, F.S. 2016. Da economia política às questões contemporâneas da geografia rural na globalização: um relato de pesquisa de doutorado pleno no Reino Unido. Campo-Território, 11, 400-410. Machado, F.S. 2015. Epistemologia científica na abordagem locacional do modelo de Von Thünen. Observatorium, 7, 94-107. Machado, F.S. 2014. Agricultura e reestruturação espacial na interface rural-urbana: questões teórico-metodológicas centrais à pesquisa. Campo-Território, 9, 194-229. Bicalho, A.M.S.M. ; Machado, F.S. 2013. Do agrário ao periurbano: o município de Cachoeiras de Macacu na Região Metropolitana do Rio de Janeiro. Geografia (Rio Claro), 38, 545-564. Machado, F.S. 2012. Desenvolvimento rural e reestruturação espacial na interação rural-urbana: considerações teóricas. Geografias (UFMG), 8, 122-130. Machado, F.S. 2011. Uma nota sobre a Geografia Agrária na interface rural-urbana. Observatorium, 6, 1-6. Machado, F.S. 2010. Variação espacial da produção agrícola na Região Metropolitana do Rio de Janeiro. Observatorium, 5, 88-113. Machado, F.S. 2010. Dinâmica da agricultura periurbana no município de Nova Iguaçu (Rio de Janeiro). GeoPuc (Rio de Janeiro), 5, 1-31. Machado, F.S. 2018. Approaching farming resilience in the rural hinterland of Rio de Janeiro and beyond: methodological pluralism in fieldwork research. In: Valerià Paül Carril; Rubén Camilo Lois González; Juan Manuel Trillo Santamaría; Fiona Haslam McKenzie. (eds). Infinite Rural Systems in a Finite Planet: Bridging Gaps towards Sustainability. 1ed.Santiago de Compostela: Universidade de Santiago de Compostela, pp. 107-115. Machado, F.S. 2016. Multifuncionalidade na dinâmica recente do espaço rural no estado do Rio de Janeiro (Brasil). In: Ángel Raúl Ruiz Pulpón; Manuel Antonio Serrano de la Cruz Santos-Olmo; Julio Plaza Tabasco. (eds). Treinta años de Política Agraria Común en España. Agricultura y multifuncionalidad en el contexto de la nueva ruralidad. 1ed.Ciudad Real, Espanha: Asociación de Geógrafos Españoles (Grupo de Geografía Rural), Óptima Diseño e Impresión, pp. 605-619. Bicalho, A.M.S.M. ; Machado, F.S. Beyond the peripheral countryside: farming resilience in Greater Rio de Janeiro (Brazil). In: III International Conference on Agriculture and Food in an Urbanizing Society. Universidade Federal do Rio Grande do Sul (UFRGS), Porto Alegre, Brazil, 2018. Machado, F.S. Family farming in the rural hinterland of Rio de Janeiro and beyond: a critical understanding of resilience in a global era. In: Royal Geographical Society and Institute of British Geographers - Annual International Conference, Cardiff, UK, 2018. Bicalho, A.M.S.M. ; Machado, F.S. Localism and small-scale dairy farming in the Metropolitan Region of Rio de Janeiro (Brazil). In: Livestock, Environment and People (LEAP) Conference, University of Oxford, Oxford, UK, 2018. Machado, F.S. New directions in Rural Geography (and beyond): researching farming resilience and local governance in the Brazilian metropolitan context. In: International Conference Fifty Years of Local Governance, International Geographical Union Commission on Geography of Governance, Lisboa, Portugal, 2018. Machado, F.S. For a relational and translocal rural geography in Brazil: engaging narratives of small-scale farming and resilience in Greater Rio de Janeiro. Hunch, School of Geography, Earth and Environmental Sciences, University of Plymouth, UK, 2018. Machado, F.S. Reconciling farming community agency and global driving forces in the rural hinterland of Rio de Janeiro (Brazil). In: Sustainable Earth, 2018, University of Plymouth, UK, 2018. Machado, F.S. Global critical issues on farming systems: approaching globalization and social resilience in Rio hinterland (Brazil). In: Brazilian Regionalism in a Global Context Workshop, University of Birmingham, UK, 2018. Machado, F.S. Farmers’ life histories, transitions, and development pathways: recognizing resilient small-scale farming systems in the rural hinterland of Rio de Janeiro (Brazil). In: Grassroots to Global: Development from Below Conference, Coventry University, UK, 2018. Machado, F.S. Globalization, family farming and social resilience in the Brazilian metropolitan context and beyond. In: X Abep-UK (Association of Brazilian Postgraduate Students and Researchers in the United Kingdom) Annual Conference, London, UK, 2018. Machado, F.S. When a rural geographer goes back from fieldwork research: evaluating an academic partnership with farming communities in Rio's hinterland (Brazil). In: The Postgraduate Society Research Showcase, Plymouth University, Plymouth, UK, 2018. Machado, F.S. Farming resilience in the context of globalization: the case of Rio's hinterland (Brazil). In: Annual Meeting of the American Association of Geographers, New Orleans, US, 2018. Machado, F.S. Globalization in a rural context: addressing contemporary rural paradigm in Brazil. In: Sustainable Earth 2017: a global forum connecting research with action, Plymouth, UK, 2017. Machado, F.S. Going back to the land through WWOOF (World Wide Opportunity on Organic Farm): exploring rural change in the era of globalization. In: Countryside and Community Research Institute (CCRI) Postgraduate Winter School - In association with University of Gloucestershire, Royal Geographical Society and Institute of British Geographers, Gloucestershire, UK, 2017. Machado, F.S. Understanding rural resilience in globalization: (multiple) approaches, methods, and scale analysis. In: Countryside and Community Research Institute (CCRI) Postgraduate Winter School - In association with University of Gloucestershire, Royal Geographical Society and Institute of British Geographers, Gloucestershire, UK, 2017. Machado, F.S. Rural restructuring, social resilience, and globalization: examining the global countryside in Brazil. In: IX Abep-UK (Association of Brazilian Postgraduate Students and Researchers in the United Kingdom) Annual Conference, London, UK, 2017. Machado, F.S. Going back to Brazil for fieldwork: researching the rural on the ground. In: The Postgraduate Society Research Showcase, Plymouth University, UK, 2017. Machado, F.S. Researching rural resilience in the era of globalization: evidence from Brazil. Hunch, School of Geography, Earth and Environmental Sciences, Plymouth University, UK, 2017. Machado, F.S. (Re) positioning rural geography in globalization: from a political economy approach to contemporary debates. In: XXI Plymouth University Postgraduate Society Conference, Plymouth, UK, 2016. Machado, F.S. Rural transition in transition economies (Brazil): theories surrounding global rural change. In: XI Plymouth Doctoral Colloquium, Plymouth, UK, 2016. Machado, F.S. Rural restructuring and conflict of land use in the context of globalization: theoretical issues concerning rural policies in developing countries (Brazil). In: International Conference on Conservation Agriculture and Sustainable Land Use, Budapest, Hungary, 2016. Machado, F.S. Global multifunctional countryside: debates concerning rural change in transition economies (Brazil). In: Countryside and Community Research Institute (CCRI) Postgraduate Winter School - In association with University of Gloucestershire, Royal Geographical Society and Institute of British Geographers, Cheltenham, UK, 2016. Machado, F.S. Rural restructuring in the context of economic globalization: the differentiated countryside in Rio de Janeiro State (Brazil). In: Royal Geographical Society-Institute of British Geographers Postgraduate Forum Mid-term Conference, Newcastle, UK, 2016. Machado, F.S. Rural Geography and globalization: building a theoretical approach from Brazil in the contemporary world. In: VIII ABEP Conference (Association of Brazilian Postgraduate Students and Researchers in the United Kingdom), King's College London, 2016. Machado, F.S. Organic agriculture and volunteering in South West England (UK): participatory action research in the context of the global countryside. In: XXIV Annual Colloquium of the IGU (International Geographical Union) Commission on the Sustainability of Rural Systems, Liège, Belgium, 2016. Machado, F.S. Rural restructuring, conflict of land use, and spatial diversity: the complexity of the countryside in the Rio de Janeiro Metropolitan Area (Brazil). In: International Conference on Land Use and Rural Sustainability, 2016, Xi'an, China, 2016. Machado, F.S. Beyond soybean fields: rural diversity and resilience in Grande Dourados Region, Central-Western Brazil. In: XXXIII International Geographical Congress (IGU-UGI), Beijing, China, 2016. Machado, F.S. Multifunctionality, resilience, and globalization: building a theoretical perspective from Brazil in the context of rural change. In: XXXIII International Geographical Congress (IGU-UGI), Beijing, China, 2016. Machado, F.S. Geography of rural change: the Brazilian countryside in the context of global multifunctionality. In: Royal Geographical Society and Institute of British Geographers - Annual International Conference, London, 2016. Machado, F. S. When I was a volunteer on organic farms: exploring empirical knowledge in the contemporary rural. In: The Postgraduate Society Research Showcase, Plymouth University, Plymouth, 2016. Machado, F.S. Multifuncionalidade na dinâmica recente do espaço rural no estado do Rio de Janeiro (Brasil). In: XVIII Colóquio de Geografia Rural e I Colóquio Internacional de Geografia Rural, Asociación de Geógrafos Españoles, Ciudad Real, Spain, 2016. Machado, F.S. Amazônia multifuncional: política ambiental, conflito de uso da terra e exclusão social no Oeste do Pará (Brasil). In: XI Iberian Conference on Rural Studies. Universidade de Trás-os-Montes e Alto Douro, Vila Real, Portugal, 2016. Machado, F.S. Desenvolvimento rural e multifuncionalidade: questões teórico-conceituais da transição rural em economias em transição (Brasil). In: XI Iberian Conference on Rural Studies. Universidade de Trás-os-Montes e Alto Douro, Vila Real, Portugal, 2016. Machado, F.S. Transitions in the global countryside: contemporary debates surrounding rural change. In: XIX Plymouth University Postgraduate Society Conference, Plymouth, 2015.
International Conference Fifty Years of Local Governance, International Geographical Union Commission on Geography of Governance, University of Lisbon, Lisbon, Portugal, 2018.
International Symposium on the Global Countryside, Gregynog Hall, Wales, 2018. Learning from Latin American Alternatives, Aberystwyth University, Wales, 2018. Livestock, Environment and People (LEAP) Conference, University of Oxford, UK, 2018. Royal Geographical Society and Institute of British Geographers Annual International Conference, Cardiff, UK, 2018. XXVI Annual Colloquium of the Commission on the Sustainability of Rural Systems, International Geographical Union, University of Santiago de Compostela, Spain, 2018. Sustainable Earth, University of Plymouth, UK, 2018. Brazilian Regionalism in a Global Context Workshop, University of Birmingham, UK, 2018. Grassroots to Global: Development from Below Conference, Coventry University, UK, 2018. Building Sustainable Food Futures: global and local action to overcome today's system failures, University of Sussex, Brighton, UK, 2018. Annual Meeting of the American Association of Geographers, New Orleans, US, 2018. The Postgraduate Society Research Showcase, Plymouth University, UK, 2018. X Abep-UK (Association of Brazilian Postgraduate Students and Researchers in the United Kingdom) Annual Conference, University College London, UK, 2018. Countryside and Community Research Institute (CCRI) Postgraduate Winter School 2017 - In association with University of Gloucestershire, Royal Geographical Society and Institute of British Geographers, Gloucestershire, UK, 2017. ESRC (Economic and Social Research Council) Doctoral Training Centre 2017 London Conference: Knowledge and Networking, UCL, University of London, UK, 2017. Global Challenges Research Fund (GCRF) Event Plymouth University, UK, 2017. The Postgraduate Society Research Showcase, Plymouth University, UK, 2017. Oxford Food Forum. Beyond the silo: understanding and building linkages across the food system. University of Oxford, UK, 2017. Royal Geographical Society-Institute of British Geographers Postgraduate Forum Mid-term Conference, Cardiff, UK, 2017. South West GRADschool residential development course for Doctoral researchers, Brecon Beacons, UK, 2017. Sustainable Earth 2017: a global forum connecting research with action, Plymouth University, UK, 2017. Countryside and Community Research Institute (CCRI) Postgraduate Winter School 2016 - In association with University of Gloucestershire, Royal Geographical Society and Institute of British Geographers, Cheltenham, UK, 2016. European Society for Rural Sociology (ESRS) Autumn School, Newtown, Wales, UK, 2016. II Plymouth University s Doctoral Training Centres Annual Conference (Social Science) Plymouth, 2016.
International Conference on Conservation Agriculture and Sustainable Land Use, Budapest, Hungary, 2016.
International Conference on Land Use and Rural Sustainability, Xi'an, Shaanxi Province, China. 2016. Royal Geographical Society and Institute of British Geographers - Annual International Conference, London, UK, 2016. Royal Geographical Society-Institute of British Geographers Postgraduate Forum Mid-term Conference, Newcastle, UK, 2016. The Postgraduate Society Research Showcase, Plymouth University, UK, 2016. VIII ABEP Conference (Association of Brazilian Postgraduate Students and Researchers in the United Kingdom), King's College London, UK, 2016. XI Plymouth Doctoral Colloquium, Plymouth, UK, 2016. XXI Plymouth University Postgraduate Society Conference, Plymouth, UK, 2016. XXIV Annual Colloquium of the IGU (International Geographical Union) Commission on the Sustainability of Rural Systems, Liège, Belgium, 2016. XXXIII International Geographical Congress (IGU-UGI), Beijing, China. 2016. XI Iberian Conference on Rural Studies, Universidade de Trás-os-Montes e Alto Douro, Vila Real, Portugal, 2016. XVIII Colóquio de Geografia Rural e I Colóquio Internacional de Geografia Rural, Asociación de Geógrafos Españoles, Universidade Castilla-La Mancha, Ciudad Real, Spain, 2016. XIX Plymouth University Postgraduate Society Conference, Plymouth, UK, 2015. I imagine a future world where people are aware of the complex global and local impacts of their food decisions on rural landscapes and communities. I would like to show how communities and governments can work together to change policy to create multifunctional and sustainable global countryside.